Hi ladies! I am so excited to share this dress with you! The color is so gorgeous, and I love the style. It’s not a style that I’m usually into-the wrap dress- I am more of the classic sundress type, but the silky material and fun hemline were enough to convince me to love it! I have a few more pieces to share with you from Pink Blush, but in the mean time check out the site! Happy Monday! 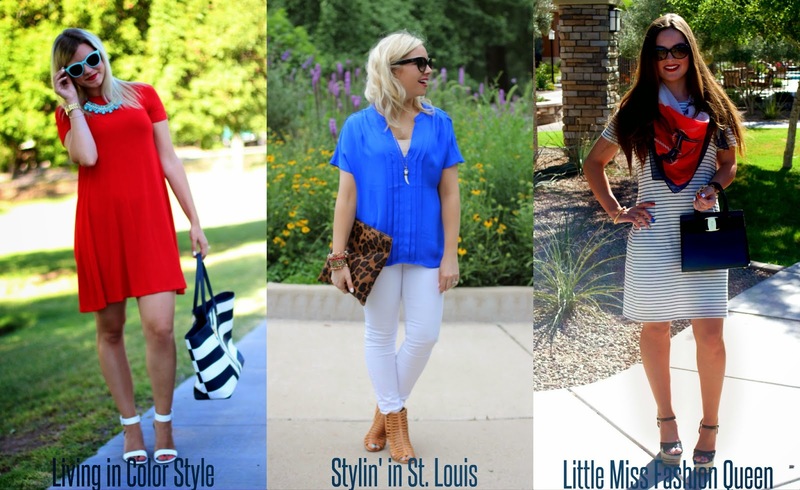 Get 15% off your order to get some cute women’s clothes with the code LIVINGINCOLORSTYLE15. This color is beautiful on you, and I love the wrap style! Fabulous and feminine outfit! You look stunning! The dress is very cute! Love the color. I love the simple tailoring with the playful hemline. It looks gorgeous on you and the color is super flattering as well. you look fab in green! i'm usually not a wrap dress girl either, but this one is so unique! love the shape of the bottom part — so cute! This green dress is incredible and super flattering. You look absolutely stunning and I adore your statement necklace. It all works so well together. Beautiful color on you! I love a good wrap dress. A beautiful color on you! Beyond gorgeous color on you pretty lady! I adore this style of dresses! this green tone is so good on you! Love this dress on you. Beautiful. Elle, that dress is absolutely stunning. I love the color and fit on you. I want to re-create this look! 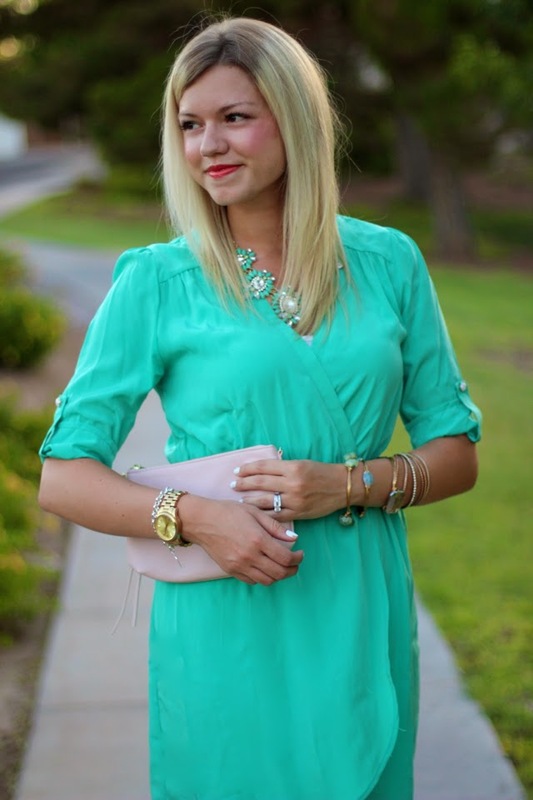 I love the fit and the fun mint hue of the dress! You look great!